Fig. 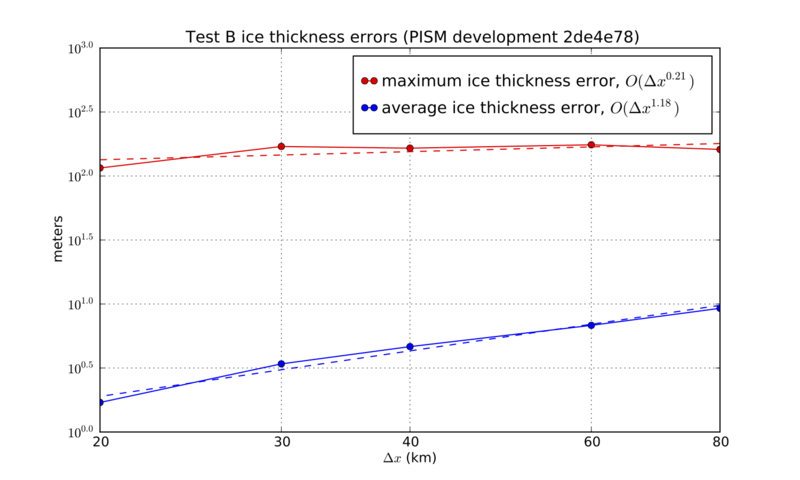 25 Numerical thickness errors in test B. See  for discussion. Fig. 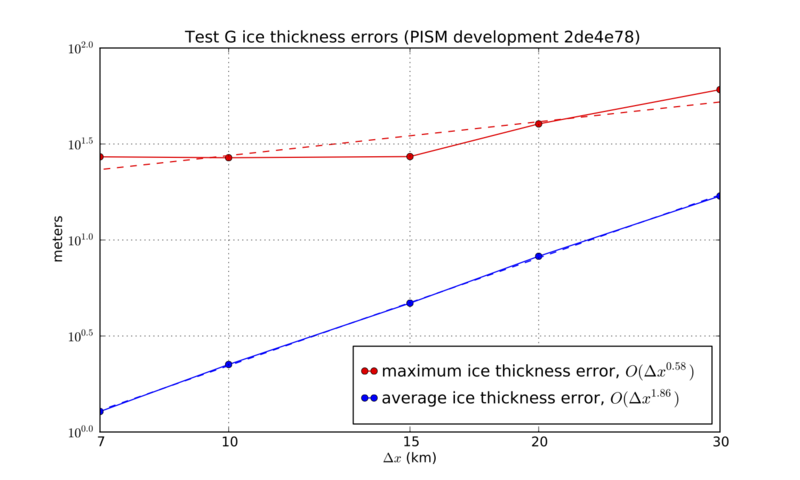 26 Numerical thickness errors in test G. See  and . Fig. 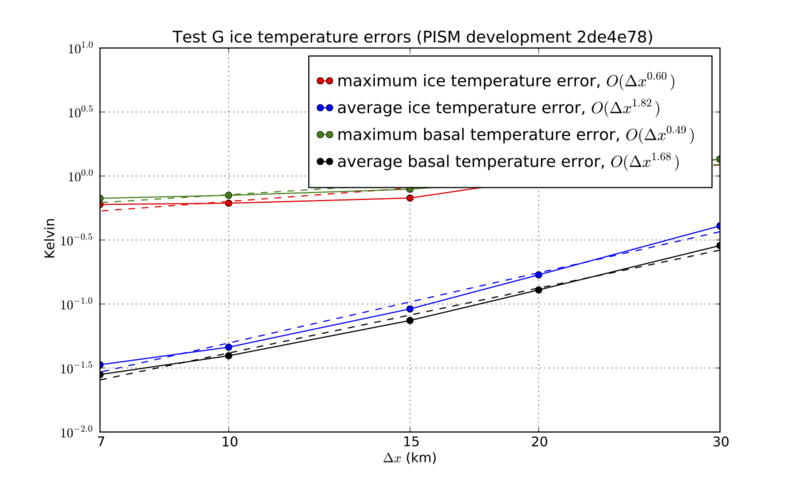 27 Numerical temperature errors in test G. See . Fig. 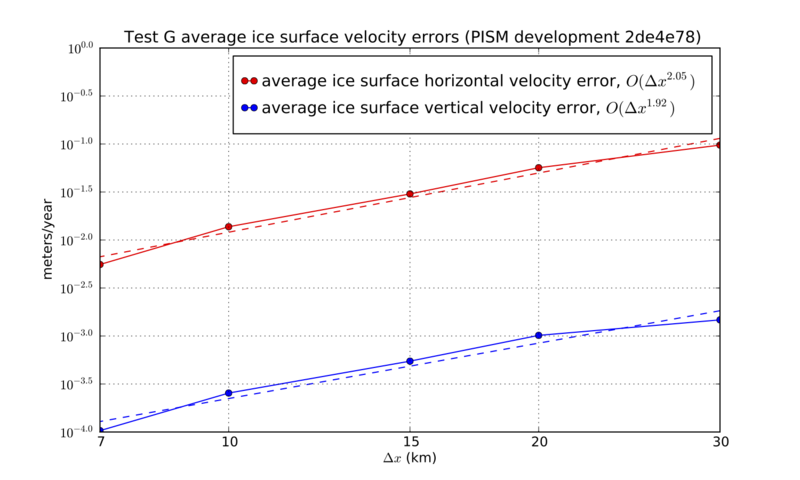 28 Numerical errors in computed surface velocities in test G.
Fig. 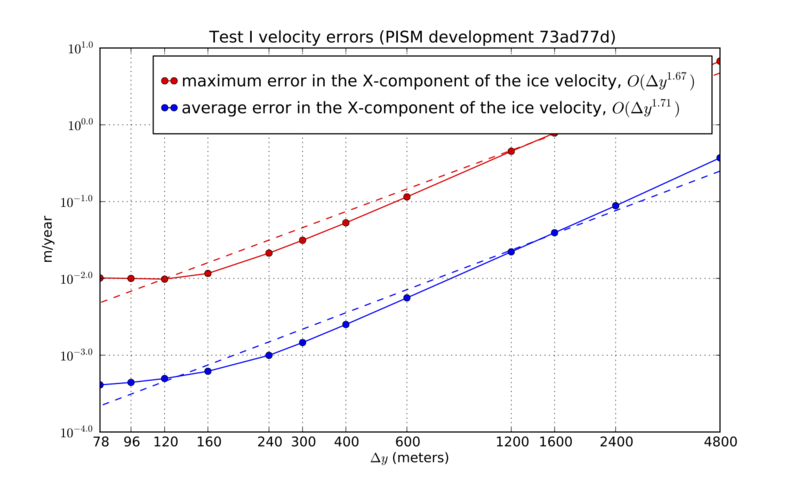 29 Numerical errors in horizontal velocities in test I, an ice stream. See , .